THIS IS THE TALE of a Tiger. Not any DH.82A but a rather special example. Why special in that all Tiger Moths airworthy or not are significant aircraft? 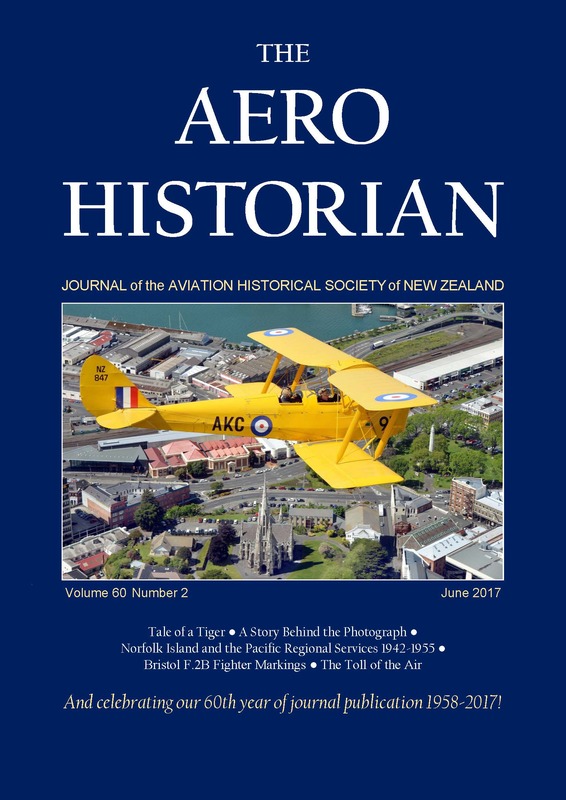 For several reasons, not the least of which being a personal relationship with c/n DHNZ97, better known as ZK-AKC, which began in 1957 at the New Plymouth Aero Club. UNLIKE THE FLAMBOYANT ART seen on many aircraft from front line squadrons, it is rare to see anything on those bombers and transports that flew on Special Operations Executive (SOE) sorties. E for Easy was a Stirling IV of 190 Squadron operating from Fairford then Great Dunmow in Essex. ON 17 MAY 2017, Air New Zealand operated its last service to and from Norfolk Island, ending a tradition that began in 1942 when the Royal New Zealand Air Force flew the first operational sorties.